Sheet metal can be molded from a flat object into almost any shape. Sheet metal fabrication is the act of changing sheet meal by forming, shaping, or joining metal together. Different types of metal can be transformed into a new shape or object. This allows Gallop Roofing & Remodeling, Inc. to provide you with a unique roofing or remodeling need! 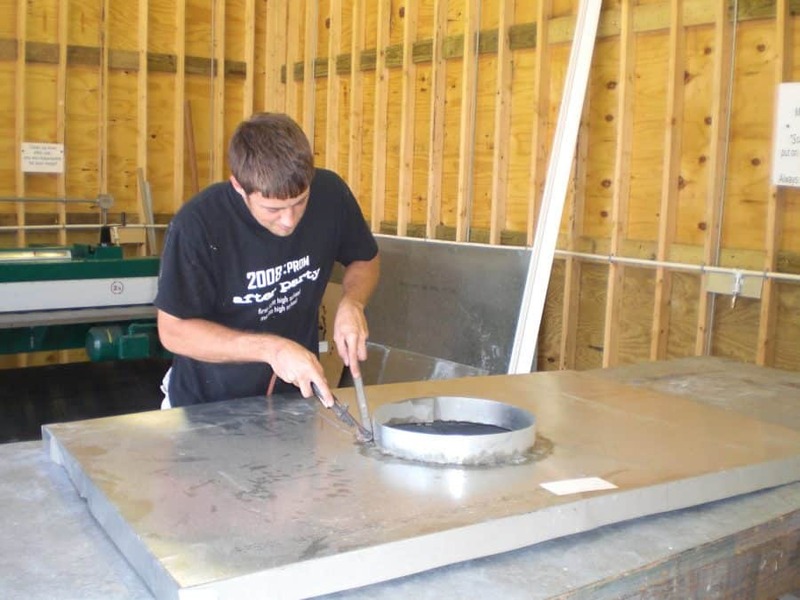 Our on-site sheet metal fabrication takes the hassle out of custom projects. We can create the project of your dreams. Use the links below to learn more about the sheet metal products Gallop can provide for you. Do you want custom fabricate gutters, chimney chase covers, flashing, or more? Call today to ask about how sheet metal fabrication can become part of your next project!